Technologically advanced, 100% biodegradable formula is environmentally safe, yet strong enough to remove the toughest carbon, lead, and moly fouling in just seconds. Ideal for rifle barrels, bolt faces, flash suppressors, compensators, silencers, chamber throats, revolver cylinders, gas pistons and any other place extreme carbon fouling is found. Will also neutralize and remove corrosive salts found in surplus military ammunition and black powder. Deep cleaning action easily penetrates the smallest crevices and other hard-to-reach areas, leaving heavily fouled parts looking factory new. For really stubborn fouling just soak in C4 Carbon Remover for a few minutes, then wipe or patch dry. Conditions the metal to help prevent future build-up. Non-flammable, ordorless, ammonia free solution is safe for indoor use. SPECS: 4 fl. oz. (118 ml) squeeze bottle or 16 fl. oz. (473 ml) plastic bottle. Teknologisk avancerede, er 100% biologisk nedbrydelige formel miljømæssigt sikker, endnu stærk nok til at fjerne de hårdeste CO2, bly og moly begroning på få sekunder. Ideel til riffel Tønder, bolt ansigter, flash undertrykkere, kompensatorer, lyddæmpere, kammer i halsen, revolver cylindre, gas stempler og eventuelle andre sted ekstreme kulstof begroning er fundet. Også vil neutralisere og fjerne korroderende salte findes i overskydende militær ammunition og sortkrudt. Dybe børstning nemt trænger de mindste sprækker og andre svære at nå områder, forlader stærkt forurenet dele ser fabrik nye. For virkelig stædig begroning bare blød i C4 Carbon Remover for et par minutter, og derefter tørre eller patch tør. Betingelser metal for at forhindre fremtidige opbygning. Ikke-brændbart, ordorless, gratis ammoniakopløsning er sikker til indendørs brug. Specifikationer: 4 fl. oz. (118 ml) squeeze flaske eller 16 fl. oz. (473 ml) plastflaske. I use this on all of my guns (pistols and rifles). It breaks up carbon like nothing I've used before! It really does a nice job on the Bolt/Carrier Group in my AR-15. I just soak it with C4 and let it sit for a bit. The carbon just wipes off. The wife doesn't even complain when I'm cleaning at the kitchen table becuase there is no odor. C4 is the best product for cutting carbon that I have found. I used C4 to clean a 7.62x39 AR after firing 500+ rounds of cheap imported steel case ammo. The rifle was still completely functional but you can imagine what the bolt and carrier looked like. Nothing is going to cut through all that baked on mess so I first used an OTIS B.O.N.E. Bolt Carrier & Pin Cleaning Tool to remove the bulk carbon. Then I used C4 with steel wool and a wire brush to get the rest of the mess. Soaking the parts may have worked too, but I only had one small bottle. C4 worked better than the other gun/bore cleaning products I had on hand. It smells a little like oranges and doesn't bother my hands. 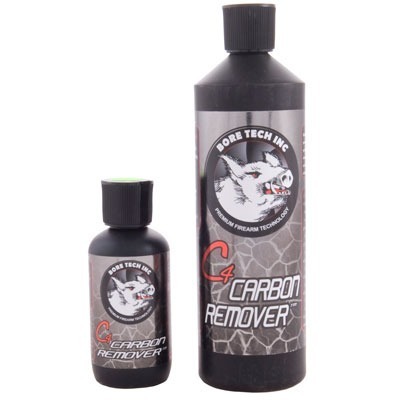 Recently purchased this C4 carbon remover to clean a S&W .460 revolver. With loads for it running in the 60,000cup pressure range the carbon is pretty well "baked on" surfaces. It is absolutely amazing, works exactly as advertised and removes carbon build up from revolver cylinders, cylinder face, between barrel & top strap as well as other hard to clean areas with minimal "scrubbing". As directions state, "leave hard to clean areas soak for a few minutes" and you will have no problems. Retired law enforcement and competitive shooter that has used a variety of products over many years, I would highly recommend this product. Every revolver shooter will love this product. I bought it for the sole purpose to remove the very stubborn carbon fouling on the end of the revolver cylinder and top strap. After removing the cylinder I cut a small hole in a large patch and placed it over the ejection rod so the patch covered the front face. With the cylinder sitting upright I soaked the patch with the product and let it sit overnight. The next morning I was able to wipe the carbon off with a Q-tip !!! No scrubbing needed that might damage the cylinder exit ports. I found it works best if you let the chemical soak into the carbon. Don't expect magical results in a few seconds. The second area was the carbon build-up inside the cylinder. I wadded a patch into each of the six cavities and again soaked the patches and let set. A couple of strokes with a bore brush and patches and it was clean. The best cleaning solution that I have found to clean a suppressor. Left my ACC Tirant45S parts in the solution for several days and used a toothbrush to brush off the carbon, no chipping or scraping the parts. Had very heavy, 3-years-old, carbon build up in a piston-system AR-style rifle (from ~1000 rounds during a 2-day class) and a pump shotgun (from ~250 rounds during the same class). I left the worst parts soaking, completely submerged, for 1 week in another product that is currently touted as the super duper carbon removing product on the market. That vegetable based so called CLP did not even soften the carbon one bit. Nothing. Zero. I then decided to try Bore Tech C4. After soaking overnight the results were impressive to say the least. Thin carbon fouling wiped right off. Thicker deposits took some work with a soft brush, but everything eventually came off. Great product. Of all of the carbon solvents I have tried (and I have tried many, both old school and new school) this is simply the best of the best. It has a slight orange-ish scent to it and doesn't irritate your skin like a lot of old school cleaners like Hoppe's. For someone like me who wears contact lenses, this is really important as solvents like Hoppe's contain kerosene and petroleum distillates which don't wash off the hands nicely, even with alcohol-based hand sanitizer. What this means is that I can ruin a pair of contacts by using said solvent. With this stuff no worries, it washes off with hand soap and is like the Dawn of guns, it cleans what no other solvent will and without being harmful to the user. Mfr Part: BTCC35004 667739980050 Teknologisk avancerede, er 100% biologisk nedbrydelige formel miljømæssigt sikker, endnu stærk nok til at fjerne de hårdeste CO2, bly og moly begroning på få sekunder. Ideel til riffel Tønder, bolt ansigter, flash undertrykkere, kompensatorer, lyddæmpere, kammer i halsen, revolver cylindre, gas stempler og eventuelle andre sted ekstreme kulstof begroning er fundet. Også vil neutralisere og fjerne korroderende salte findes i overskydende militær ammunition og sortkrudt. Dybe børstning nemt trænger de mindste sprækker og andre svære at nå områder, forlader stærkt forurenet dele ser fabrik nye. For virkelig stædig begroning bare blød i C4 Carbon Remover for et par minutter, og derefter tørre eller patch tør. Betingelser metal for at forhindre fremtidige opbygning. Ikke-brændbart, ordorless, gratis ammoniakopløsning er sikker til indendørs brug. Mfr Part: BTCC35016 667739980067 Teknologisk avancerede, er 100% biologisk nedbrydelige formel miljømæssigt sikker, endnu stærk nok til at fjerne de hårdeste CO2, bly og moly begroning på få sekunder. Ideel til riffel Tønder, bolt ansigter, flash undertrykkere, kompensatorer, lyddæmpere, kammer i halsen, revolver cylindre, gas stempler og eventuelle andre sted ekstreme kulstof begroning er fundet. Også vil neutralisere og fjerne korroderende salte findes i overskydende militær ammunition og sortkrudt. Dybe børstning nemt trænger de mindste sprækker og andre svære at nå områder, forlader stærkt forurenet dele ser fabrik nye. For virkelig stædig begroning bare blød i C4 Carbon Remover for et par minutter, og derefter tørre eller patch tør. Betingelser metal for at forhindre fremtidige opbygning. 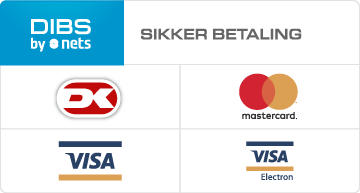 Ikke-brændbart, ordorless, gratis ammoniakopløsning er sikker til indendørs brug.